One of Australia's most innovative and creative salon approaches hair as a medium to create art with. Marie Cain reinvents classic styles, adds new textures, plays with structures and surfaces. The results are strong, even haunting looks that do what only great art does: they go under your skin. Hair does not pretend to be anything else. Cain has a no-gimmick approach to her styles with the result of an almost raw expression even in the most exquisite shapes. Surfaces are not ironed out, but allowed to be their natural self. Fuzzy texture is encouraged and literally teased into the hair, movement is large but specific structures can be tiny and in the shape of mini braids or crinkles. Just as the shapes, the hair colors are taken from a natural but expressive palette, often with related hues of different lightness brought together to create another level of visual tease. Extremely crinkled hair, best if naturally, is styled to a high volume style that reminds of the famous afro look but offers much more texture and movement. Individual sections of hair hold together and shape long pointed shapes while the rest of the wiry tresses provides a transparent misty structure. The length is the same all around the head so that the hair, once airborne forms a circle around the head like a halo or like the filaments of an exotic flower. Back combed, wrapped and piled up high with determination make this look more than a worshipful nod to the famous styles of the late 50s and 60s. This B-52 is all updated and celebrates hair in its most natural form and texture. Flying hair is not sprayed into sleek obedience, it is even encouraged to give this look its raw naturalness paired with elegance and futuristic style. Elaborate cornrows are braided from the forehead straight back and down to the nape. These mini-French braids take some time to create, but they also outlast any other style and are unmatched when it comes to extraordinary, exotic looks. Ask Bo Derek. 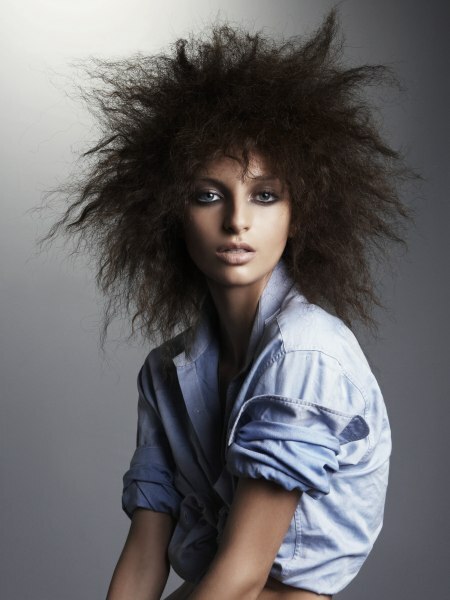 This version is special due to the intrinsic aura of "wild" hairs that surround the precise handy-work. Eclectic elements that are borrowed from classic looks work together in eccentric beauty. From the manly short sided with indicated sideburns, to the short, very French fringe and the sumo-like knot of hair high on the crown, all seem to be opposites but they do get along very fashionably. 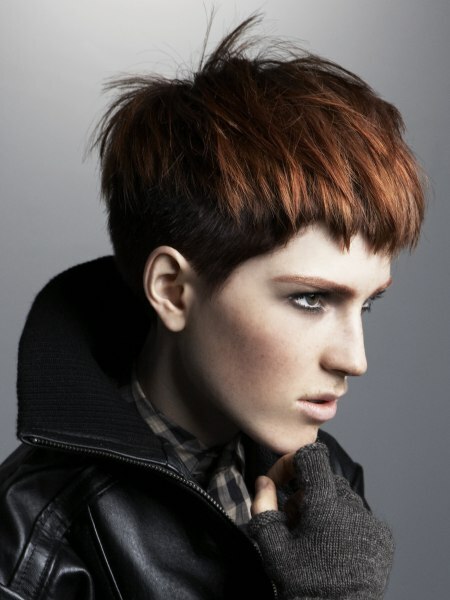 The muted dark blonde color completes the elegant and avantgarde understatement. 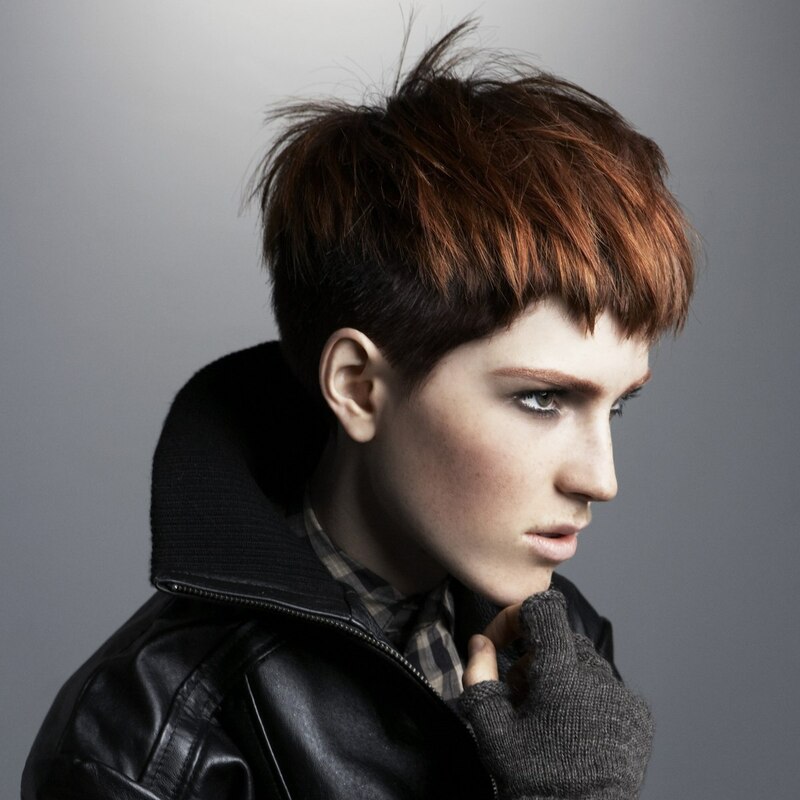 This short haircut reminds of a classic pageboy but is in a category all of its own. The pointed sides and diagonal fringe bring out her distinct facial features and make a statement of classic style with modern interpretation. 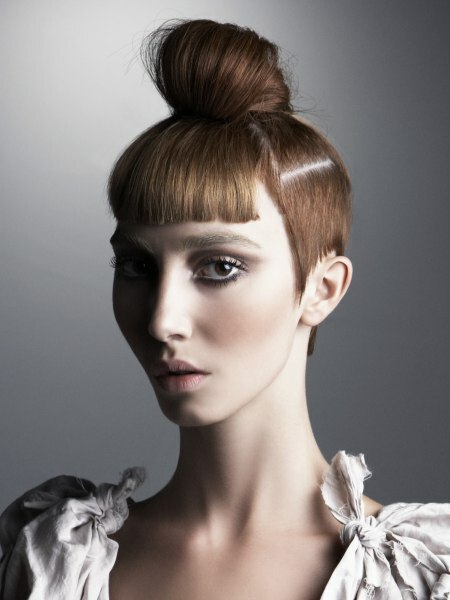 A rough styling along the sides brings out the raw energy that gives this collection of hairstyles its unique character. Gamine, soft and intense is the language of this multifaceted specimen. Cropped short and smoothly graduated in the back, the bulk of hair sits on the crown and is styled forward in thick and choppy strands. The movement is underlined with the use of a lighter hue on top. 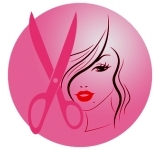 The short fringe has a thick texture, which runs into smooth lines on the side of the face.